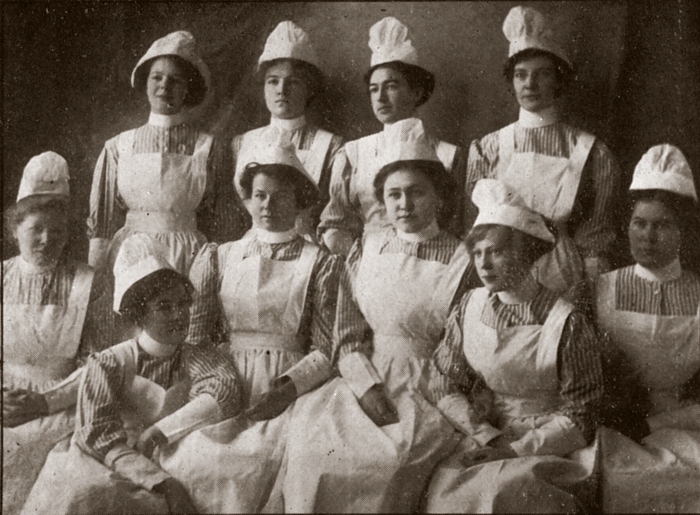 In 1869, six Sisters of Charity from Leavenworth, Kansas arrived in Helena, and set about their mission to educate youth, nurse the sick, and care for orphans. 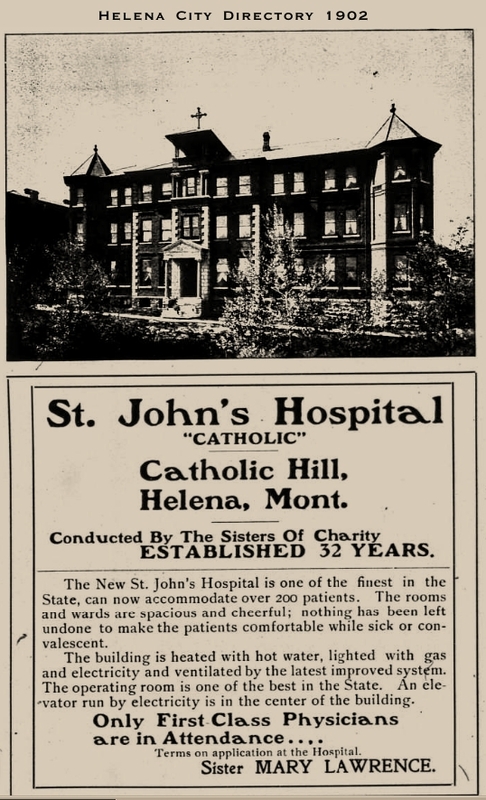 Read the interesting story of "Catholic Hill" and the institutions founded there, by visiting "More From the Quarries of Last Chance Gulch" on the METNET site. 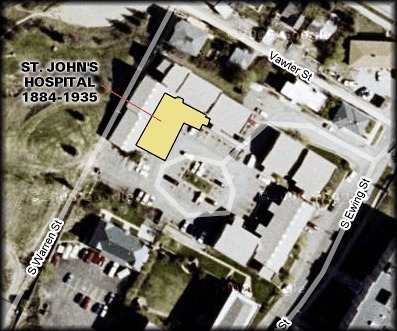 Footprint of the 1884 St. John's Hospital superimposed on a recent satellite image. 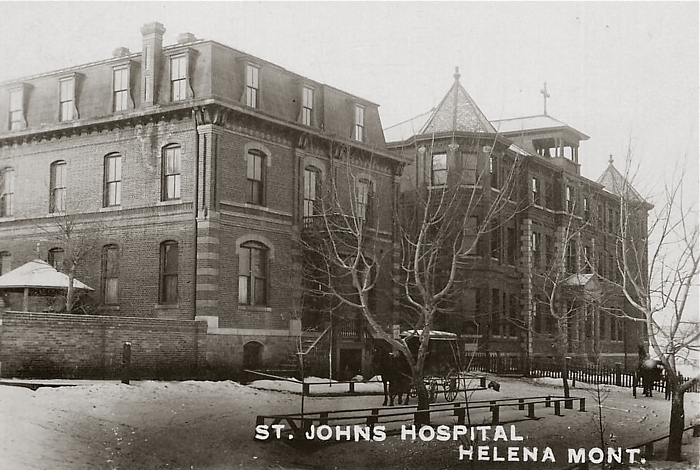 The hospital was expanded in 1901-02. 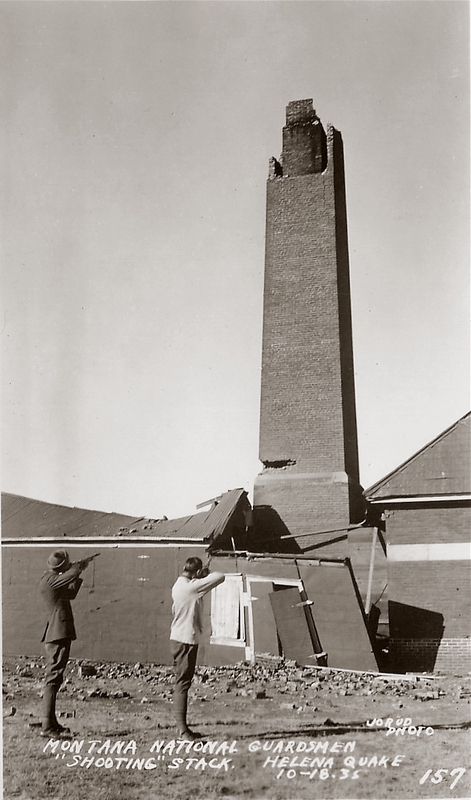 National Guardsmen with high-powered rifles brought down the damaged stack of the St. John's Hospital heating plant on October 18, 1935. 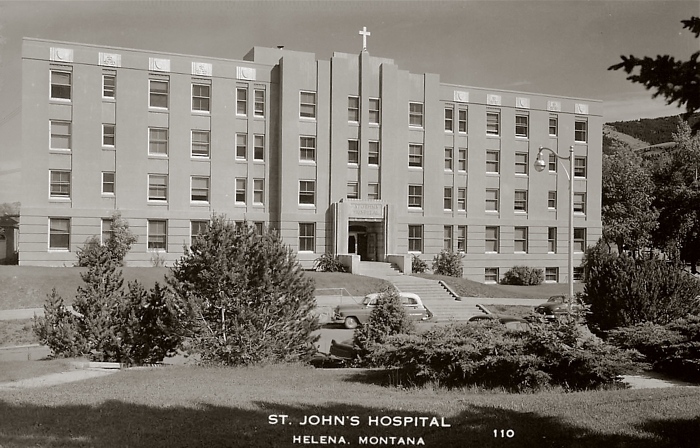 The 1939 St. John's Hospital building is still standing, but the hospital closed in 1973. 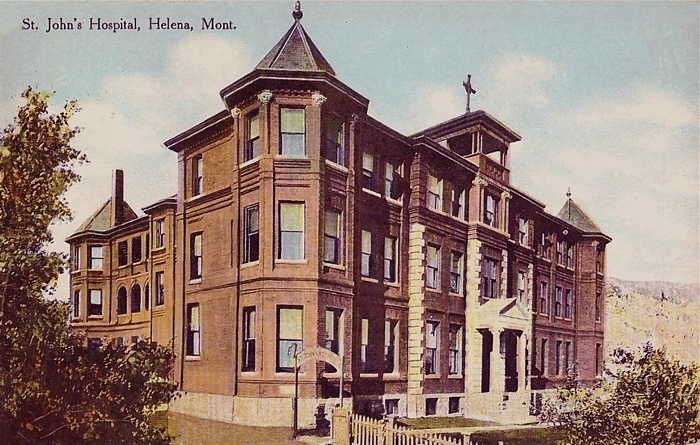 It now serves as offices and a nursing home facility. 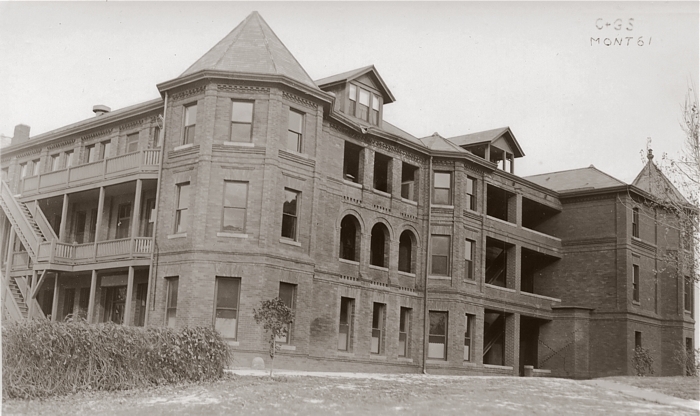 The cornerstone from the 1884 building was relaid in the 1939 building. 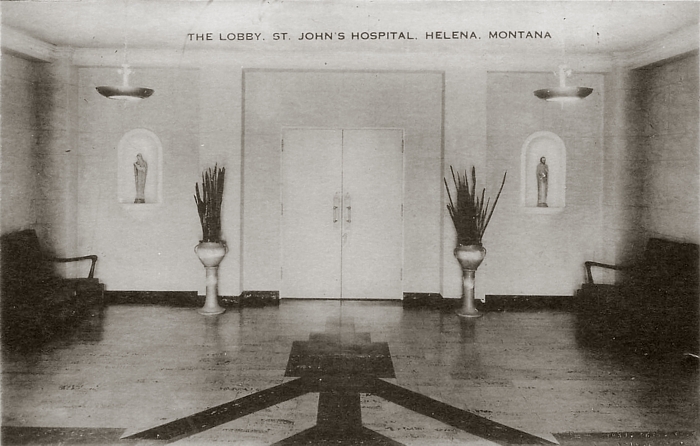 The stone was opened after being removed from the 1884 building, and was found to contain a dedicatory review of the hospital's history, a prayer for the instution's success, business and professional cards from Helena's leading citizens, and a sprig of pine -- an evergreen symbol of life. 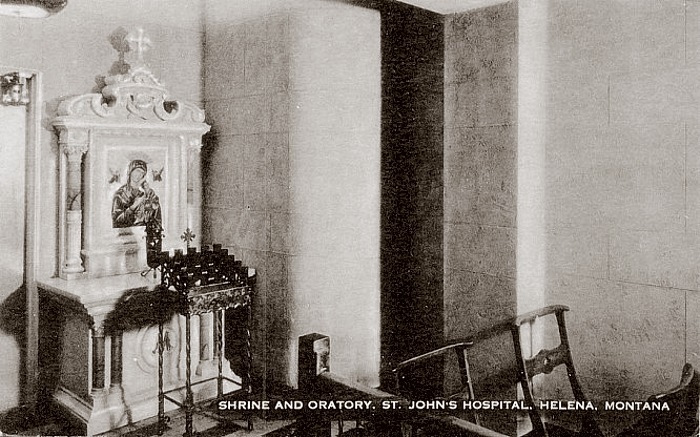 These relics were replaced in the stone, along with items from 1939. 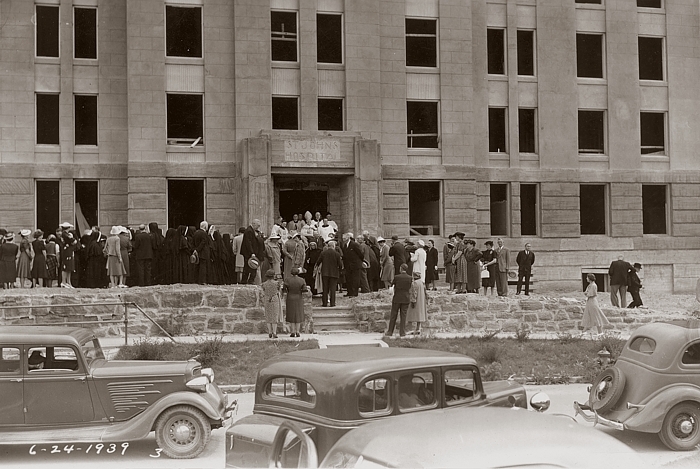 Dedication of the cornerstone St. John's Hospital, June 24 1939 (detail). At the center is Bishop J. M. Gilmore. 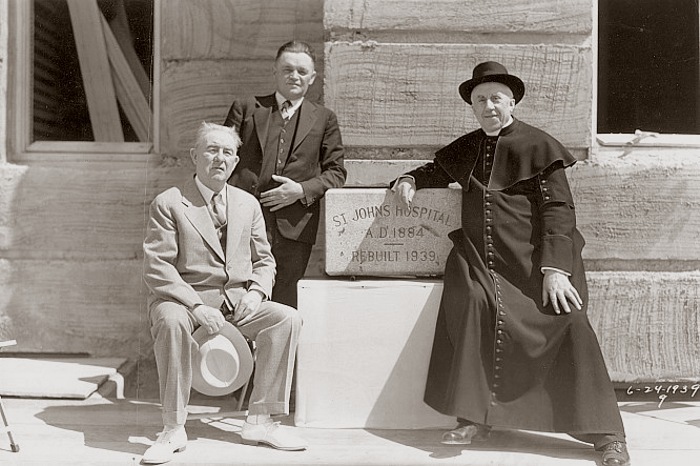 An informal photo taken on the day of the cornerstone dedication. Standing at center is George Jacoby, the building contractor. 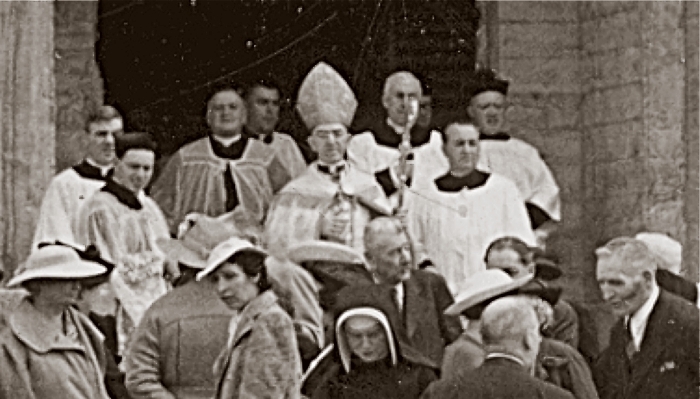 Seated to the right is Msgr. Victor Day. 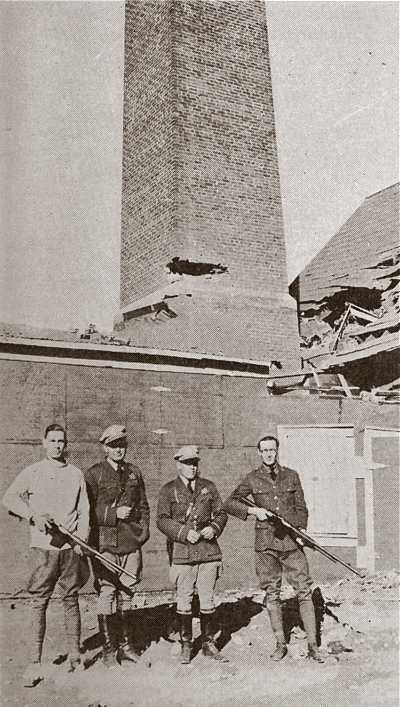 The man on the left may be architect J. G. Link. 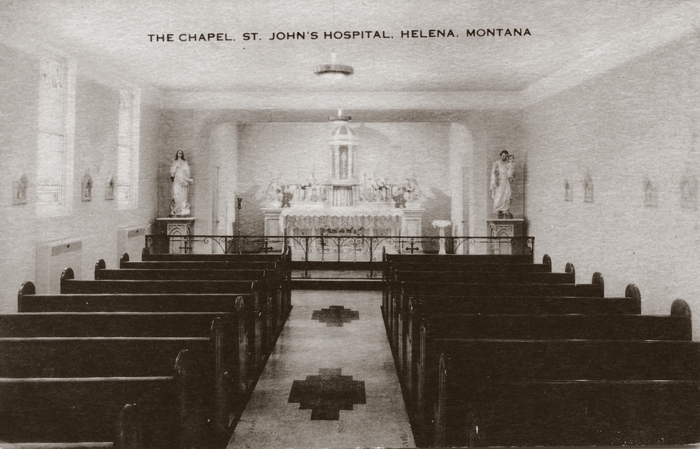 THANKS TO SISTER DOLORES BRINKEL, ARCHIVIST OF THE DIOCESE OF HELENA, FOR HER HELP ON THIS SECTION.